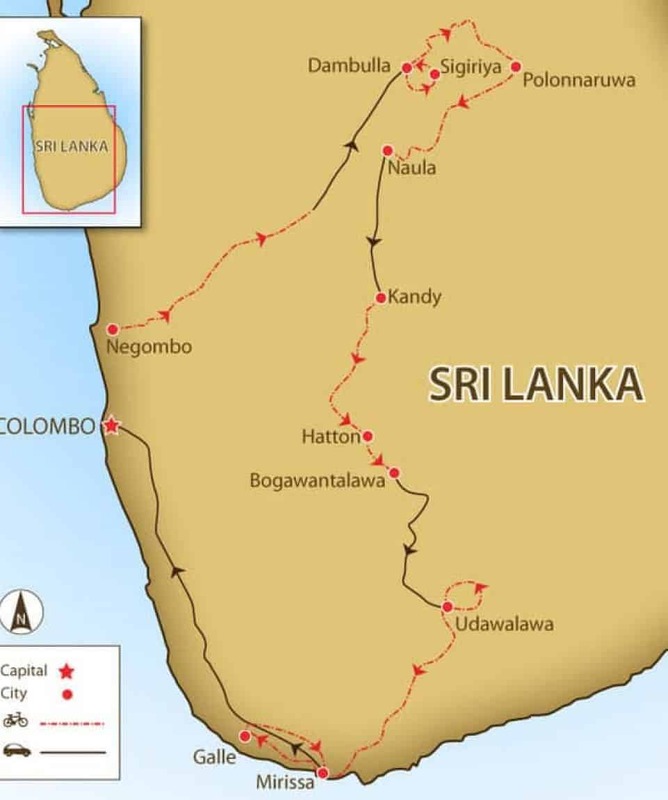 A Sri Lanka holiday for the active. 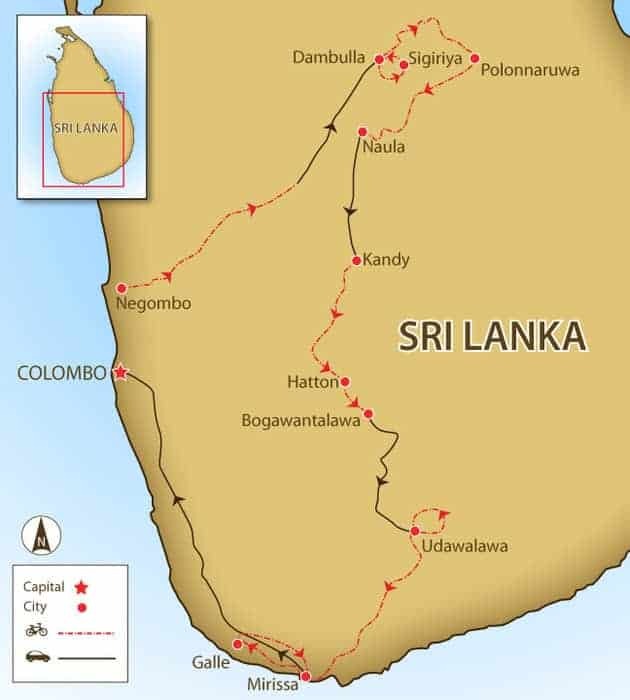 Ride the Spice Trails of Sri Lanka with the perfect balance of challenge and reward during 12 days cycling Sri Lanka. 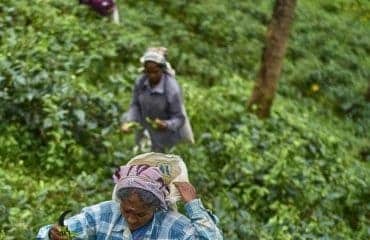 All about the Spice Trails of Sri Lanka Bike Tour, 12 Days, Cycling Sri Lanka. 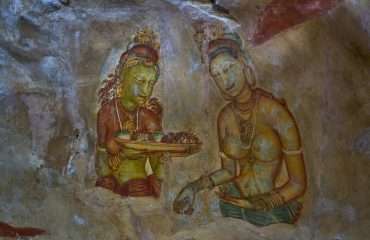 Sri Lanka as a destination is rich in nature and history. Riding in a small group with opportunities to stop and discover, is extremely rewarding. You’ll have authentic cultural experiences. Meet like-minded active and positive people. This tour is perfect for people with some biking experience and seasoned riders. The terrain is mixed, starting out flat but with some hills further inland. The heat and humidity will make sure you don’t forget you’re in the tropics. 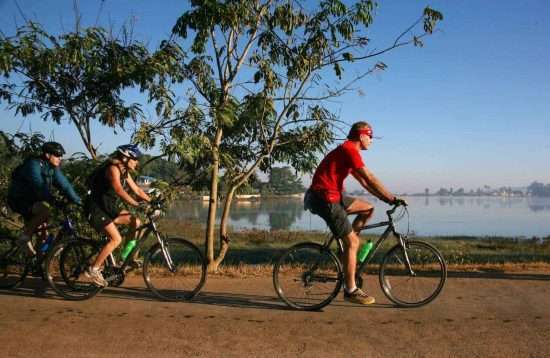 It’s a great tour for people who enjoy cycling, want to experience authentic cultural and natural encounters. 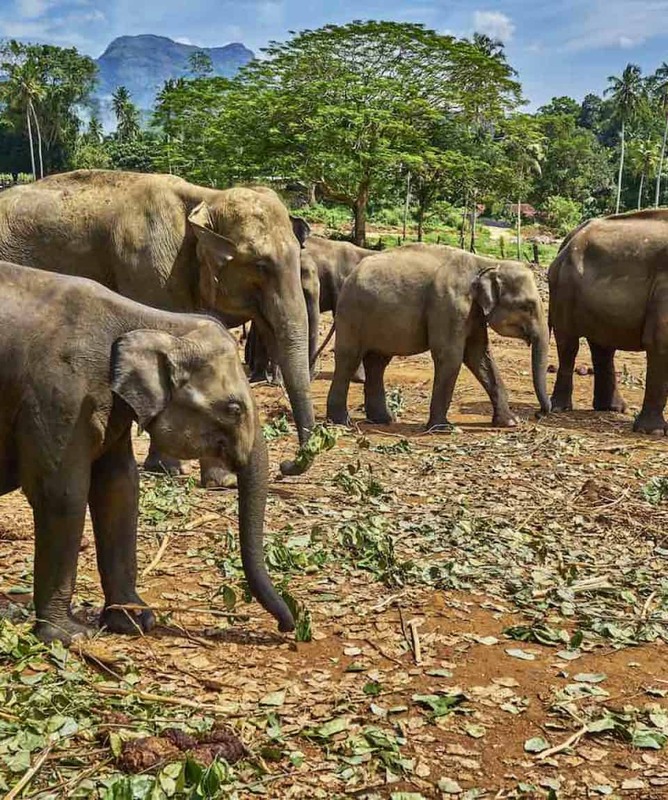 You’ll experience some of Sri Lanka’s most iconic scenery, cultural heritage and natural wildlife. Perfect for solo travellers, couples or small groups of friends. 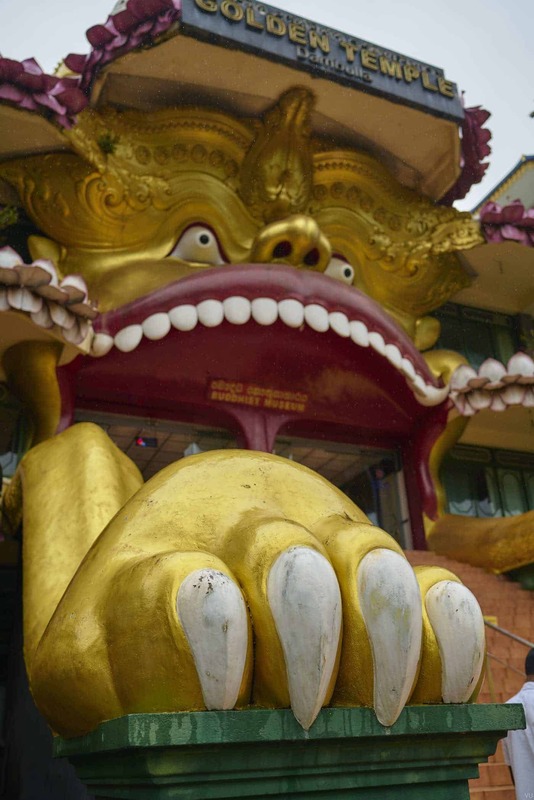 Nestled among hills and centred around a lake, picturesque Kandy has long been an important religious centre of the Sinhalese and a place of pilgrim-age for Buddhists. 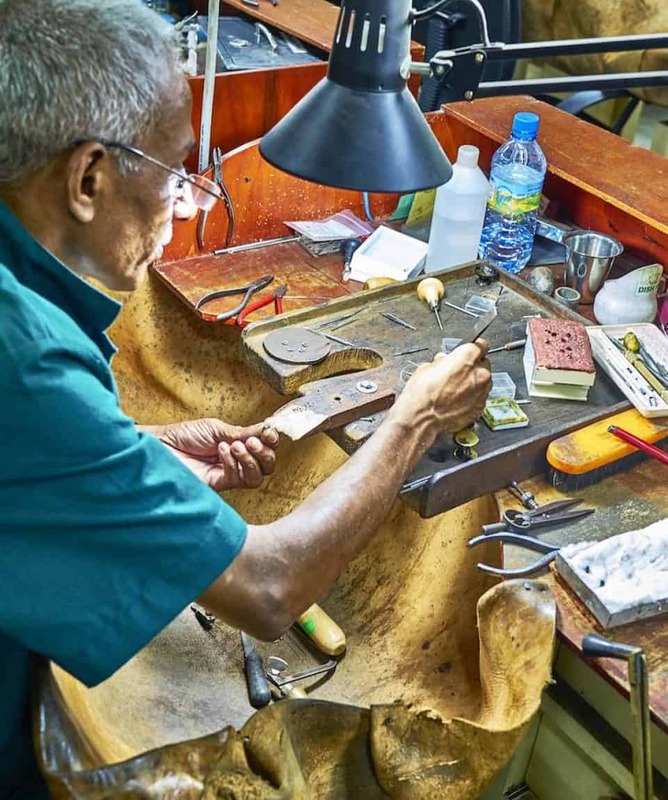 Today, you can explore the town centre’s old shops, antique and gem specialists, or the bustling market. 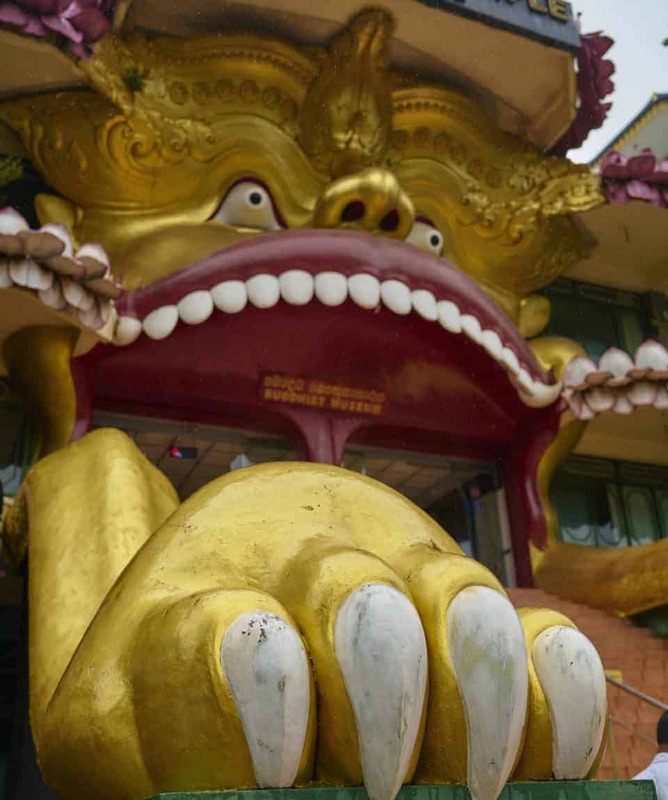 A must see is the UNESCO World Heritage Site of the Temple of the Sacred Tooth Relic – Sri Lanka’s most important Buddhist relic, a tooth of the Buddha. Sri Lanka, also known as the “Pearl of the Indian Ocean,” is blessed with year-round sunshine and spectacular views, from every corner, of the surrounding Indian Ocean. 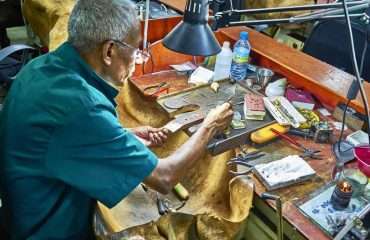 It was known as Ceylon during the days of the British Empire here and has gone through many changes on it’s way to modernization. 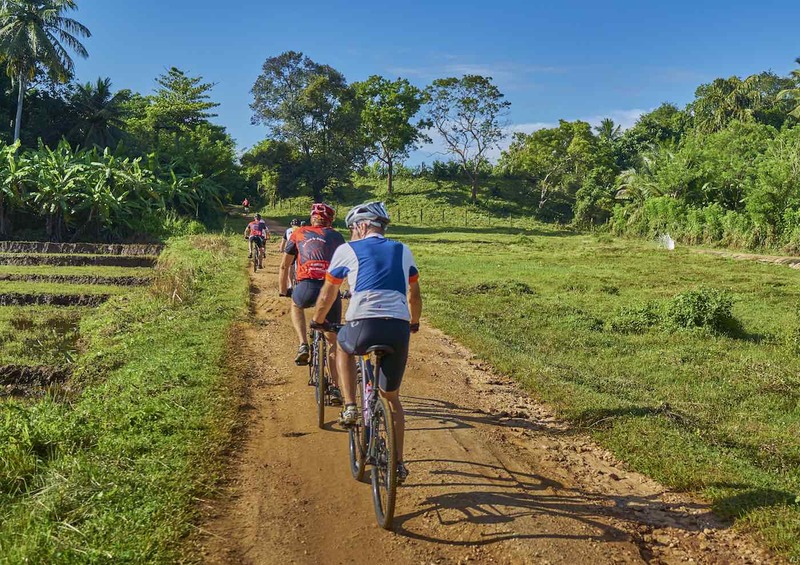 With so much history like it’s peaceful Buddhist ruins, including the beautiful palace and frescoes of the 5th Century fortress Sigiriya, Cycling Sri Lanka is the perfect way to experience its treasures. 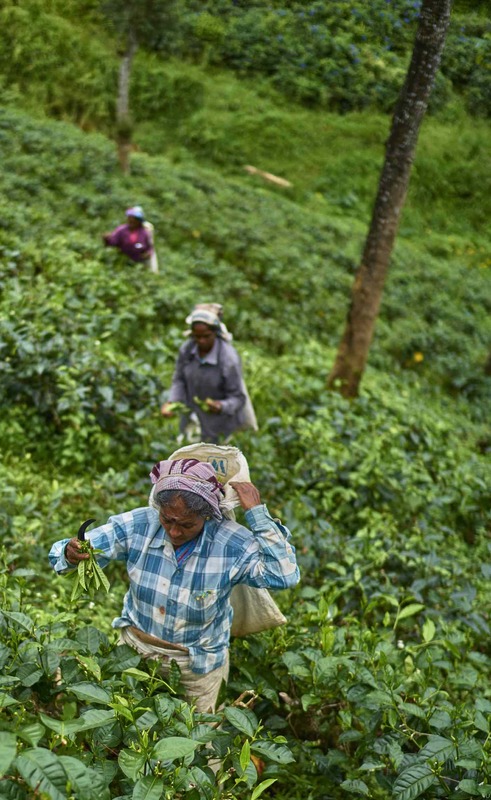 Sri Lanka’s landscape provides us with the perfect balance of challenge and reward. We’ll follow coastal roads, see the coloured sails of the local Karavas fishing boats. 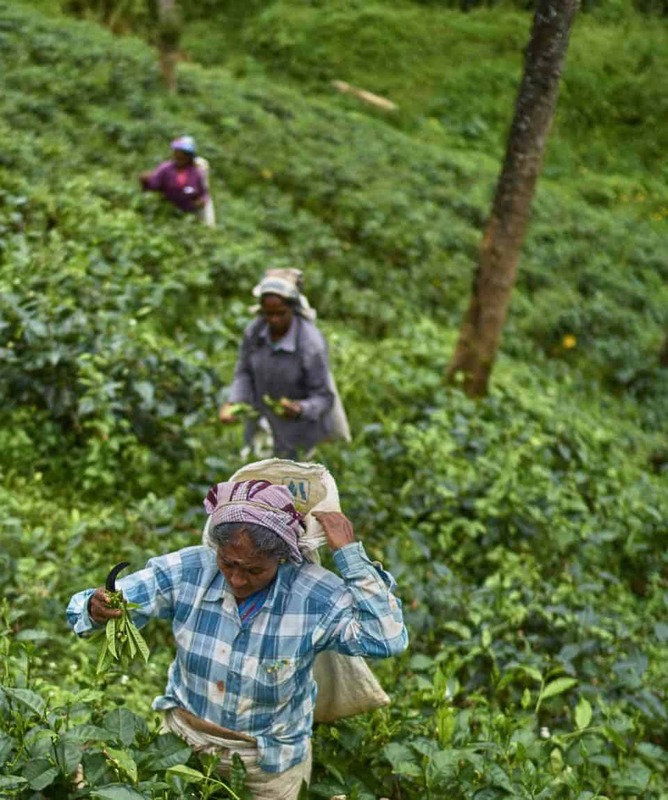 Visit local fish markets and catch the rather nicer aroma of the cinnamon being cooked as we cycle toward the hill country outside of Kandy on our way to the island’s highlights, the tea estates. 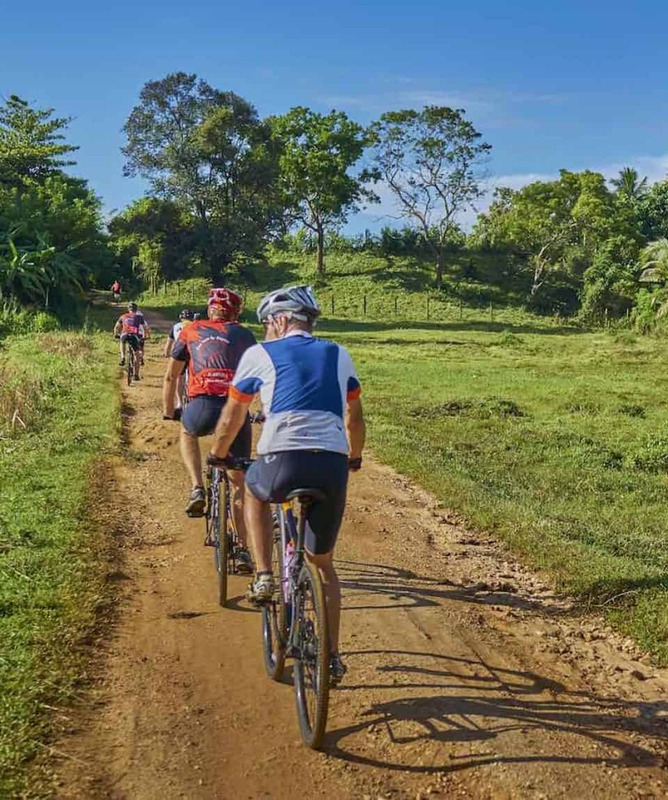 There will be moments that transform this cycling tour into an adventure tour, like cycling the red dirt tracks that wind through the countryside, with elephant grass on each side and sometimes, wild elephants themselves. Stop for a drink in the water gardens of Sigiriya, then climb Lion Rock for a spectacular view over the ruins. And then there’s the wildlife! 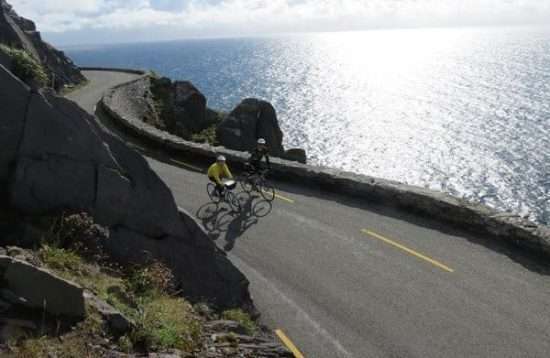 A bike tour is a perfect way to observe wildlife and you can expect to see a wide range, from small creatures like the mongoose and more than 400 species of bird to the world’s largest creatures, the elephant on land and the mighty blue whale at sea. 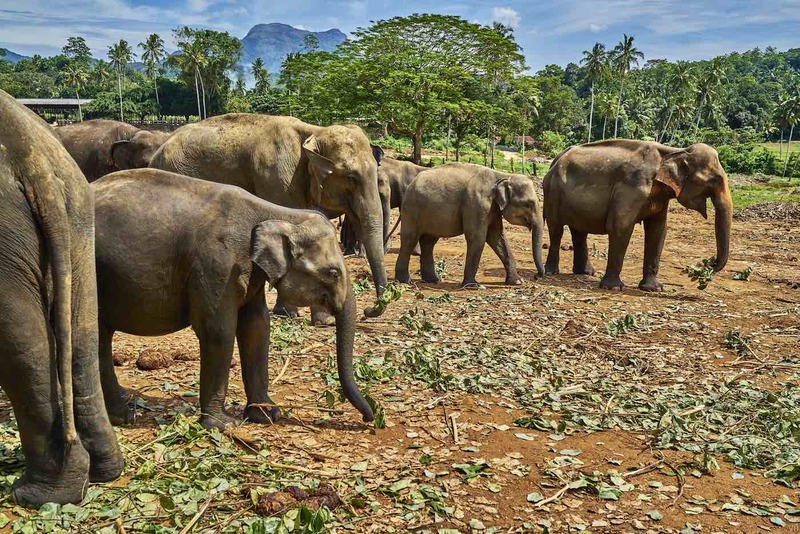 Sri Lanka is a dream destination for wildlife enthusiasts and, a rewarding experience for all nature lovers. Our bicycle journey will be on quiet back roads, estate tracks, and gravel paths. We cover 575 km in 9 cycling days, and much, if not most, of the terrain, is undulating, and there are three days with more than 70 km of riding. When you combine the great variety of cycling with the cultural and natural attractions, there is plenty to delve into and enjoy. 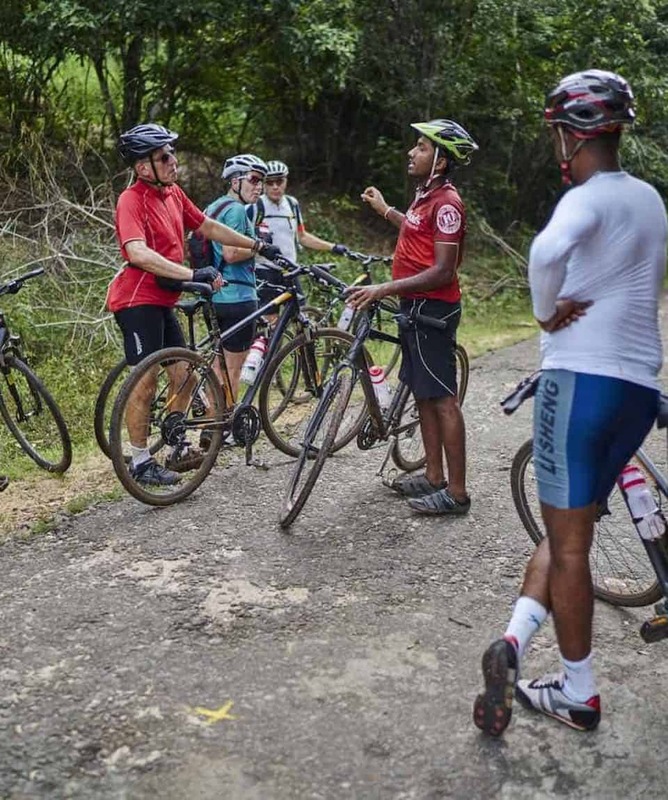 This ride is for those who have some biking experience, as well as experts. The beginning of this ride is relatively flat, but there will be hills as we head inland, and there are some long distances to cover. Never underestimate the heat and humidity of tropical Sri Lanka, as it will likely ensure things feel hot. 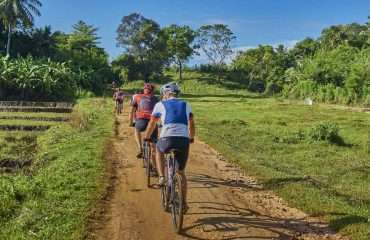 This is a true journey through the finest terrain and scenery of Sri Lanka, with the best culture, nature, and wildlife along the way, ensuring you get the very best of everything from your cycling efforts. 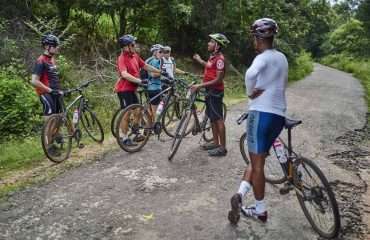 The road surfaces are mixed and on most days we ride on reasonably good quality paved roads, but there are enough sections on very badly broken or dirt tracks that you’ll need a mountain bike, preferably one with front suspension. However, there is nothing technical involved on this tour, and anyone, assuming they have a reasonable level of fitness, will be able to join. A support truck is always available to help. Because some people can’t imagine going on a trip without their own beloved bicycle, we don’t provide them as part of this tour. However, you can hire bikes locally for the price listed in the FAQ section. The bikes are specialised Hard Rock mountain bikes with lightweight alloy frames, 24 to 27 gears, v-brakes, and front suspension. If you bring your own bike, please make sure it is a mountain bike, preferably with front suspension, in good mechanical order. We also have E-Bikes available for hire. They are SCOTT brand and come in 2 models with alloy frames, 9-11 speed, Shimano disc brakes, and components. Basic spares and tools are carried by the guide and on the support vehicle, though we cannot guarantee to have spares for every conceivable problem. Carrying a basic tool kit, a spare tube and a pump while riding is recommended. Wearing a helmet is required on all our biking adventures and is non-negotiable. If you do not wear a helmet you will not be allowed to cycle. 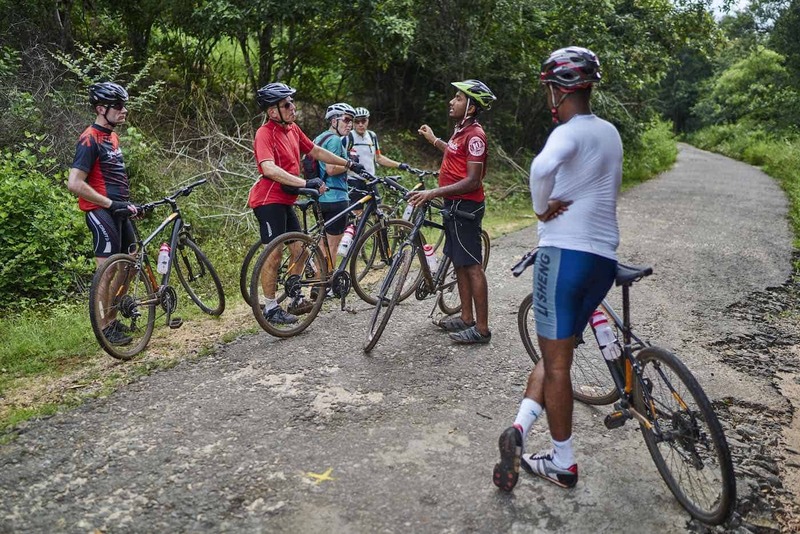 Your tour leader is trained in first aid and emergency rescue, but to a large degree, you must be responsible for your own safety while riding. 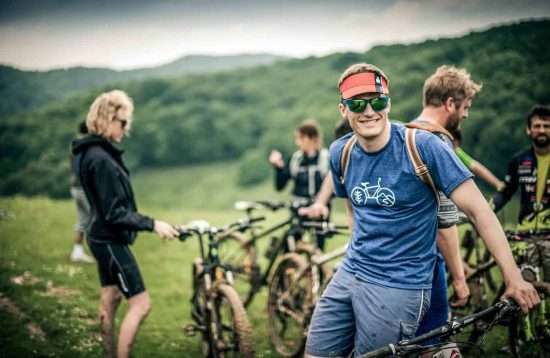 It is therefore compulsory that you take out travel insurance that will cover you for a mountain biking tour. We recommend that you speak to your doctor about any vaccinations you may require, antimalarial treatment options and any other health considerations that are recommended for this destination. The best months to visit Sri Lanka are from December to March for the west coast, and from April to September for historical sites and the east coast. As we are travelling the length of the country it is likely for us to experience rain, however, it will be warm and we will likely continue riding through it. Meals are included as per the itinerary where B = breakfast, L = lunch, D = dinner. Most meals are local and feature rice and curries. Sri Lankan curries come in many varieties of colours and flavours and can be meat- or fish- based dishes, but there are also vegetable and even fruit curries. Many of the spices used have ayurvedic value when used in curries. Meals are a mixture of local and western cuisines, with the local key ingredients being rice, coconut and especially spices, reflecting the island’s history as a spice producer and trading centre for hundreds of years. Any special dietary requirements can also be catered for as well. Please let us know at the time of booking. We don’t require you to pay a surcharge for travelling alone. We will arrange for you to share accommodation with another traveller of the same gender and if we can not match you up we will provide a single room at no extra charge. If you prefer not to share a single supplement is payable to guarantee your own room. We recommend that you tuck away a few extra dollars, perhaps £10 a day for incidentals. 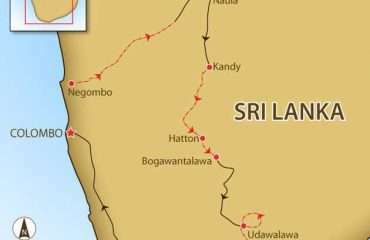 The Sri Lankan currency is the rupee (Rs). There are several money changers in the capital as well as major tourist cities and attractions. They generally don’t charge commission and their rates are pretty good, with unlicensed money changers giving slightly better rates than officially licensed ones. However, ATMs are recommended if you are unsure and afraid of getting ripped off. ATMs have spread to all of the cities and major regional centres of Sri Lanka with Commercial Bank having the largest network of ATMs accepting international Visa, MasterCard, and Cirrus/Maestro cards. Any bank or exchange bureau will change major currencies into cash. To get the best rates, change rupees back into hard currency before you leave the country. 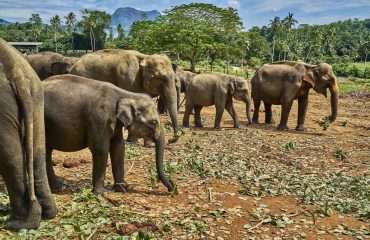 Great way to see Sri Lanka. Wonderful guides. Excellent combination of biking, visiting sites and eating local foods. A great way to see the country. 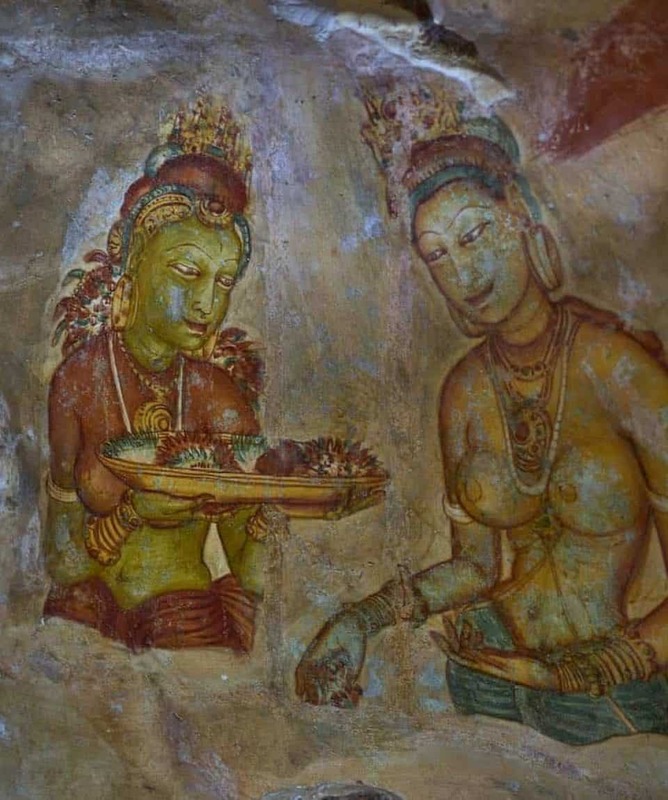 Sri Lanka is an amazingly beautiful country with equally amazing people and beautiful people. I have taken many cycling tour in Asia and Chan was by far the best leader I have had the pleasure of riding with.